(SPACE.com) A song called "Reach for the Stars" will make its debut, appropriately, from space. 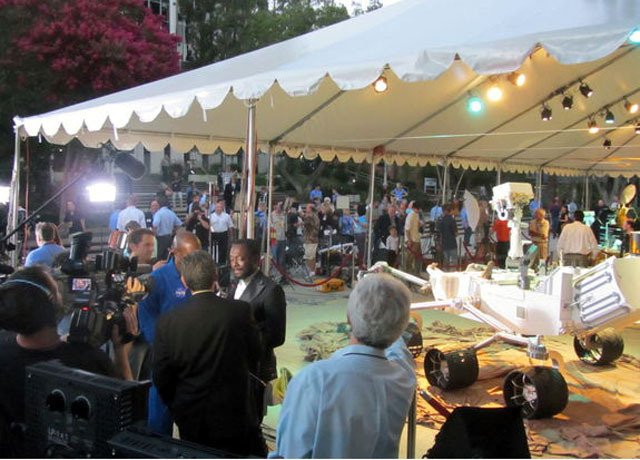 During the event, NASA scientists and mission managers will talk about the Curiosity mission and explain the technology behind the broadcast to students. It won't be the first broadcast from space--NASA used the Mars rover to broadcast a spoken message from the space agency's chief, Charles Bolden, on Monday.